Your day-by-day itinerary now includes USS Constitution Museum as well as Faneuil Hall Marketplace. Your inner history buff will appreciate Marginal Way Walkway and Cliff Walk. Appreciate the collections at The Breakers and Orchard House. 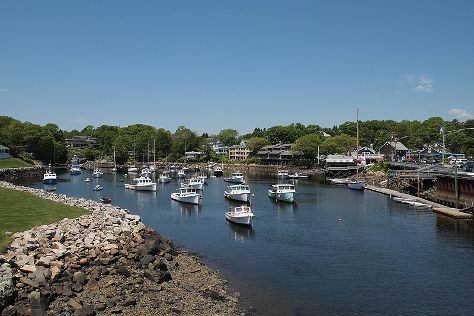 Change things up with these side-trips from Boston: Plymouth Rock (in Plymouth), Provincetown (Race Point Beach & Pilgrim Monument & Provincetown Museum) and Heritage Museums & Gardens (in Sandwich). And it doesn't end there: get to know the fascinating history of Freedom Trail, admire the landmark architecture of Massachusetts State House, pause for some serene contemplation at Trinity Church, and admire all the interesting features of Ocean Drive Historic District. For maps, where to stay, and more tourist information, refer to the Boston road trip planner. In December, daytime highs in Boston are 43°F, while nighttime lows are 31°F. Cap off your sightseeing on the 21st (Sat) early enough to travel back home.